Bone cancer symptoms generally develop with time. As the cancer cells grow, these cancerous cells spread and penetrate deeply into the bone. In order to understand the bone cancer signs and symptoms, treatment and staging, progression of bone cancer should be studied. Tumors that usually occur in or near the joints are liable to cause swelling, stiffness and tenderness in the affected area. 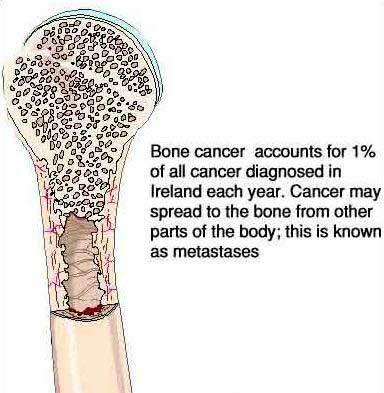 Bone cancer can also interfere with normal movements of a body. In this way it can weaken the bones sometimes leading to fracture. A child will need medical advice if bone pain is persistent for more than three days.